Could not ask for a better experience in all areas. The commitment to excellence and customer service is unparalleled. First rate service! David is always friendly and keeps me informed about the condition of my equipment. I always look forward to having him service my unit and I would not consider trusting my equipment to any other company. 5⭐️service! David Adams was very good at explaining everything to me--very patient. I would like David to be the technician that takes care of my service. The service is fantastic and David our technician is fantastic as well. I am sorry that my previous review did not go through. I highly recommend David. He is just great and he is so knowledgeable in what he does. We always feel so confident when we know that David is coming to our house to do our service because we know that the job will be done right and in a timely fashion. He is always willing to answer our questions and in such a way that we can understand. He is so friendly, respectful and courteous. We enjoy talking to David. 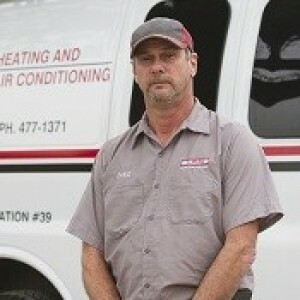 Bill's Heating/AC is very fortunate to have David in their company. David is just great. 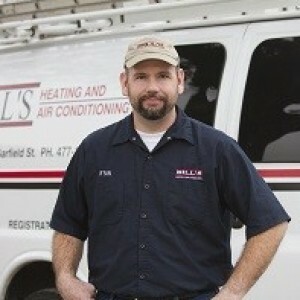 I highly recommend Bill's Heating/AC to anyone. Your technician Troy did a very good job in returning my furnance to working order. He took the time to explain what he was doing and why. 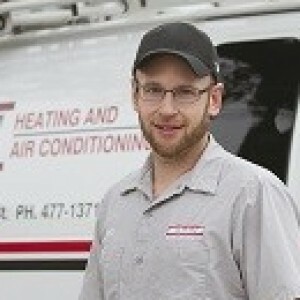 Bill's Heating and Air always provides prompt, reliable service with careful attention to detail. When David is servicing my heating and cooling system and I have a question about its operation, his explanations are always very clear and complete. He arrives right at the appointment time and is conscientious and skilled in his work. I only choose Bill's and often recommend them. Troy is an excellent service tech. Very knowledgeable and he explained what caused the furnace to malfunction. Personable and professional . 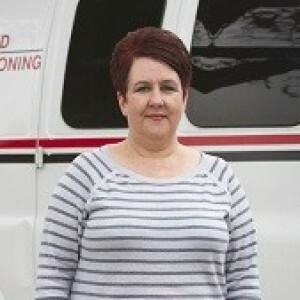 Thanks to Shelley for getting me on the service call schedule . Bill's is the best. Wonderful experience w/ Bill’s Heating & A/C all the way around! Mike, Ryan, Brandon, & Alex were all fantastic! They were prompt, efficient (just like the new unit they installed :), friendly, knowledgeable, conscientious, and flexible. We were in a bind w/ a 27 year old furnace going bad and they saved the day! I gave nothing but praise for this amazing crew! Thank you for giving us every reason in the world to trust your team and refer friends and family whenever possible. Needing a new furnace & A/C wasn’t preferred, but you guys sure made it a very pleasant experience! David was on time, polite, and clear when explaining his findings from inspection. I couldn't be happier (or more impressed) with the excellent care and service provided by all of the employees at Bill's Heating & A/C. And I was thrilled at how quickly they set up the installation of our new furnace and A/C. Mike was prompt in stopping at our home to look at our system and give us an estimate. He is a tremendous person who's customer service is top notch. Ryan, Brandon, & Alex were courteous, efficient, and extra helpful during their time in our home. They were patient as they explained things and fielded questions. I honestly couldn't be happier with my experience with this company and these men. I would recommend Bill's to anyone in need of this type of service. Thank you to Bill's Heating and A/C for making this unfortunate situation (our furnace failing during a frigid time) a pleasant experience. We would like to give a big thank you to our service tech Troy. For the 2nd year he has cleaned and inspected the furnace & got it ready for winter. He is always very polite & tells us everything he does to it. If we have any questions he takes the time to answer them for us. Thanks again Troy. Shelly is so nice and pleasant on the phone. She does a great job keeping all those guys going! We had David do an evaluation of the HVAC system at a house we are looking to purchase. We could not have had a better, more polite, honest tech review the system. He was on time, had shoe covers on while working in the house, was extremely thorough, answered all questions in a manner that was not condescending whatsoever, no matter how elementary the question. He is extremely knowledgeable, and his attention to detail is second to none. We have extremely high standards and David exceeded our expectations, which is no simple feat. Will be a repeat customer of Bill's, so we can work with David again. Very happy with the service we received from Bill’s. Our service pro David was very professional and explained every thing that he did. We have and would recommend Bill’s. Bill’s Heating and Air did an amazing job installing our new air conditioner! I really enjoyed meeting Ryan and Alex. Both men met me at the door with a friendly attitude and a handshake. They were both courteous, respectful and professional. They did the job neatly and in a timely fashion. I really appreciate the great work that Ryan and Alex did. We would highly recommend Bill’s Heating and Air and will definitely continue to use them in the future. Troy was the visiting tech and as always was prompt, courteous and thorough. Look forward to his visit as I know everything will be covered in his exam of the systems. Great tech!! We have used Bill's H&A for ten years and can't say enough good about them. The techs are all professional and knowledgeable quick to respond and thorough in the service call. Troy is especially thorough and helpful. Always ready to help improve the units in any way possible with the intent of lengthening the life of the units. An all around good guy!! He was very good. Took the time to explain everything.